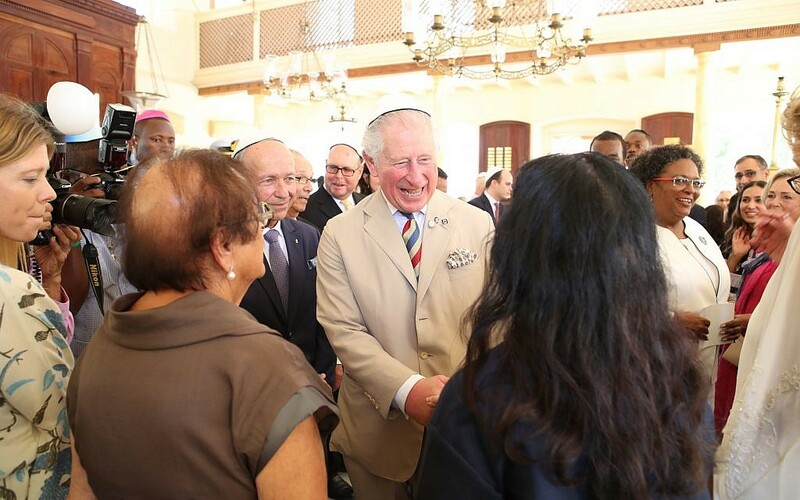 Prince Charles has visited one of the oldest synagogues in the western hemisphere while on a Commonwealth trip to Barbados. 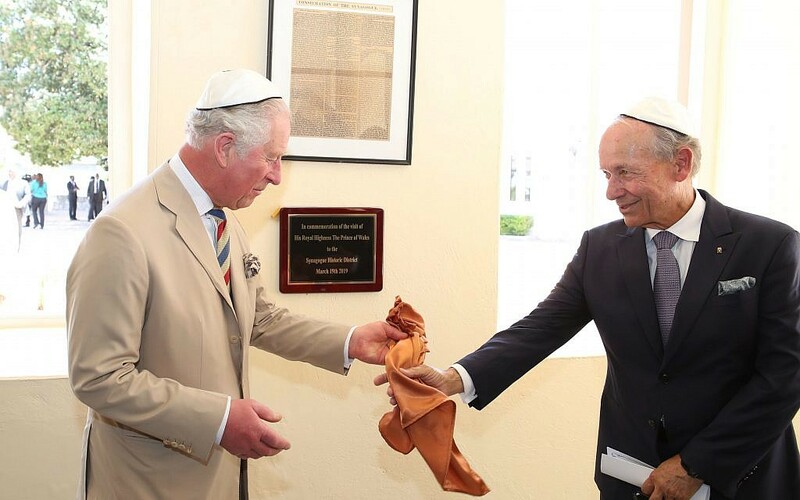 The heir-to-the-throne visited the Nidhe Israel synagogue in Bridgetown, which was built in 1654 then rebuilt in 1831 following a hurricane, before enjoying some downtime in the turquoise waters with his wife Camilla. 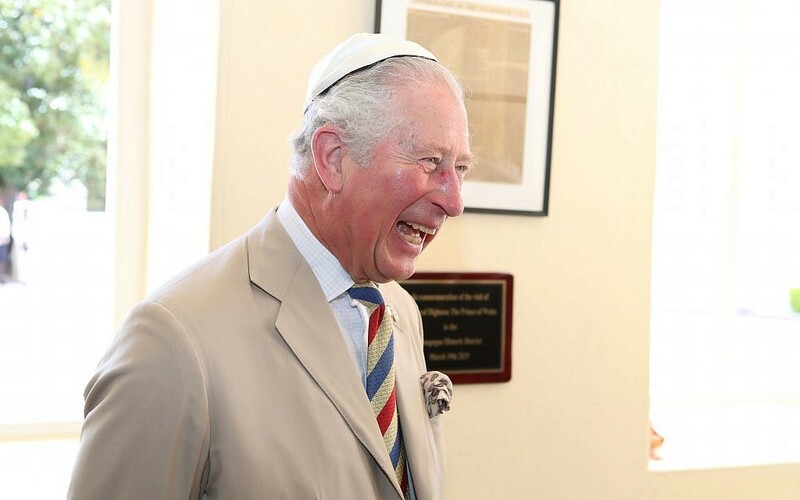 The 365-year old shul owes its roots to about 300 Brazilian Jews who settled on Barbados after suffering persecution by the Portuguese. They brought with them skills in sugarcane cultivation and helped found the sugar industry there, bringing Barbados wealth. Charles’s visit to the island came after a brief tour of St Lucia on Sunday, before joining Camilla on Barbados. 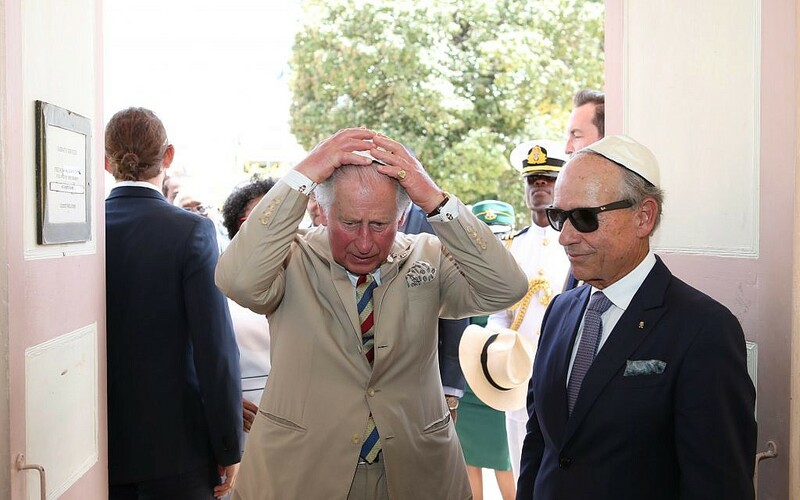 The Royal couple are due to jet across the sea later this week to Cuba, where the UK is keen to build bilateral relations.